"This one is different, though. The haunted house is my family's house." 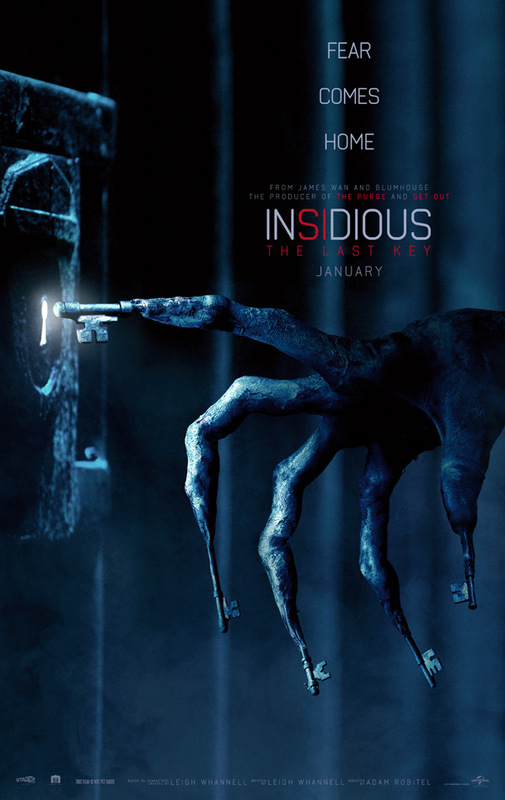 Universal has unveiled an official trailer for the horror sequel Insidious: The Last Key, also known as just Insidious 4, since this is the latest in this on-going horror franchise. Perhaps the final sequel considering it's called The Last Key? Lin Shaye returns as Dr. Elise Rainier, the brilliant parapsychologist who ends up being terrorized in her own home by the demons that have been haunting houses ever since Insidious in 2010. Shaye is joined in the cast by Angus Sampson, Leigh Whannell, Josh Stewart, Caitlin Gerard, Kirk Acevedo, Javier Botet, Bruce Davison, Spencer Locke, Tessa Ferrer, Ava Kolker and Marcus Henderson. I was into the first two Insidious films, but totally lost interest after it became a "franchise". Have a look if you want.